School districts have an affirmative duty to locate, evaluate and potentially serve any infant, toddler or school-aged student impacted by disability under the Child Find Mandate — part of special education law. Adequate marks and “passing from grade to grade” does not erase the school’s responsibility to evaluate under Child Find. School refusal, missing social skills, trouble with emotional regulation and behavior struggles can trigger an evaluation. Each school district has a duty to locate students residing within the district who might need special education. In order to meet its obligation under Child Find, a district has procedures to locate, identify, and evaluate students ages of 3-21 who are suspected of having a disability. If parents at any time believe that a child may need special education and related services, they can contact the school and/or the district office to request an evaluation. A suspected disability that might significantly impact learning meets the standard for evaluation. Data from that evaluation determines eligibility. The Office of Superintendent of Public Instruction (OSPI) has more information. Screening and evaluations are free. Early intervention and special education services through the public-school system also are at no cost to the family. Parents have the right to request an evaluation from the public-school district regardless of whether a child attends public school. Parents who disagree with the results of an evaluation—or a school’s decision to not evaluate—have the right to dispute decisions through a variety of informal and formal processes, described in the Procedural Safeguards. Parents, teachers or anyone else can refer a child for an educational evaluation if there is reason to suspect that a disability is impacting that child’s ability to learn. The local school district provides a comprehensive evaluation, free to the family, if there is a known or suspected disability and reason to believe that appropriate early learning or school success requires intervention. Receiving adequate marks and “passing from grade to grade” does not erase the school’s responsibility to evaluate. Impacts to all areas of school and learning are considered. Academic challenges might trigger an evaluation. So can school refusal, communication deficits, missing social skills, trouble with emotional regulation and behavior challenges. Parents have the right to request an evaluation from the public-school district regardless of whether a child attends public school. If the child is found eligible for services, the local district is responsible for providing those services unless the family doesn’t want them. In some cases, families arrange to have a child attend a private school but receive special-education services through the public school. 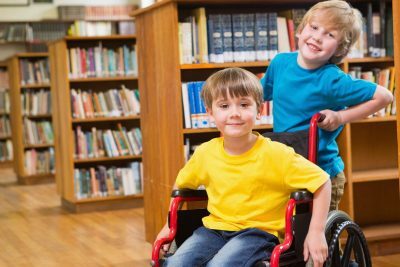 Private schools do not have to evaluate children or provide special education, but they are responsible to provide equitable services and to comply with the Americans with Disabilities Act. See PAVE’s article about navigating private school. The IDEA includes 14 categories of disability that might qualify a student for special education services at a public school. PAVE has an article with more detail about the IDEA and additional articles with information about evaluation process. PAVE’s Parent Training and Information (PTI) staff recommend that families request evaluation formally—in writing. Specific deadlines apply in the evaluation process. Washington schools have 25 school days to decide whether to evaluate. After parents sign consent, the school has 35 school days to complete the evaluation. A sample letter to request evaluation is available on PAVE’s website. The Office of Superintendent of Public Instruction (OSPI) provides more detail about state requirements. A national agency called Wrightslaw has additional information about Child Find. The Child Find Mandate requires states to implement programs to locate children who might need more support, particularly those who might need services as infants or toddlers. Child Find is written into the IDEA in “Part C,” which protects children 0-3 with known or suspected disabilities in need of early intervention. However, Child Find applies to all children who might need services—through age 21 or until high-school graduation. Testing determines whether the child has a disability that is causing learning delays. For very young children, this includes a known or suspected disability that might delay learning. 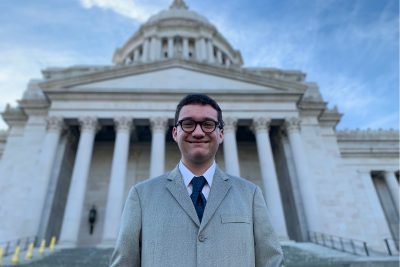 For a child younger than 3 in Washington State, early intervention is provided with an Individualized Family Service Plan (IFSP). PAVE’s website includes an article with more information about early intervention services and the transition to school-aged services at age 3. For a child ages 3-21, an evaluation determines whether specialized instruction is necessary for the student to access learning at school. PAVE’s article about the Individualized Education Program (IEP) provides detail about how special education services are delivered. If parents at any time believe that a child may need special education, they can contact the school and/or district office to request an evaluation. A suspected disability that might significantly impact learning meets the standard for an appropriate and comprehensive evaluation. Data from that evaluation determines eligibility. The Office of Superintendent of Public Instruction (OSPI) has more information. The referral process includes a review of existing data about a student. Existing data might include information from families, medical providers and anyone who can discuss a child’s performance at public school, preschool, private school, at home or in another setting. Based on this data, the district decides whether to evaluate. Sometimes the decision is discussed at a “referral meeting” with school staff and parents, but a meeting is not required. OSPI has additional information about how the state implements Child Find. If parents don’t think their child is growing or developing like other children the same age, they can request an educational evaluation, even if a pediatrician says there is no cause for concern. The national Center for Parent Information and Resources (CPIR website: ParentCenterHub.org) provides a list of developmental milestones to help parents recognize potential delays. Early intervention can be critical. Parents can contact their local school district or seek more information and assistance from Early Support for Infants and Toddlers (ESIT), managed by Washington’s Department of Children, Youth, and Families (DCYF). The evaluator uses natural situations to look at these skills while a child stacks blocks, draws, counts, cuts with scissors, jumps, or performs any other wide variety of activities. Testing time varies, and parents can ask how much time was spent, which settings were reviewed, and who conducted the review. Parents can decide whether they agree with the results and whether they believe the evaluation was appropriate. “Appropriate evaluation” is protected by special education law, the IDEA, as a primary principle. Parents who disagree with the results of an evaluation—or a school’s decision to not evaluate—have the right to dispute decisions through a variety of informal and formal processes, described in Procedural Safeguards. If an evaluation determines that a child requires early intervention, then those services are provided through an IFSP. Early intervention services might include speech and language therapy; physical therapy; psychological services; home visits; medical, nursing, or nutrition services; hearing or vision services. In most cases, services are provided in the home or in a child-care setting. The goal is for services to take place in the child’s “natural environment.” Occasionally a child may visit a provider’s office for specialized services. What does an older child’s evaluation look like? Educational evaluations for children 3-21 are conducted in consultation with a team that includes parents, teachers, special education professionals and school district administrators and evaluation specialists who can interpret and explain the results. Parents can provide a health history and notes and diagnoses from medical providers that contribute outside information to be considered as part of the assessment. The Down Syndrome Guild of Greater Kansas City provides a comprehensive list of commonly used assessments for a variety of disability conditions. Children ages 3-5 with identified disabilities can receive free special education and related services at preschools run by the local public-school district or through federal Head Start or the state-run Early Childhood Education and Assistance Program (ECEAP). Often these preschools are specifically designed for children with disabilities, so inclusion with general education students may be limited. Once a student enters the local public school for kindergarten, specialized instruction may be provided in general education by special educators who “push in” with support in the classroom. The IDEA requires education in the Least Restrictive Environment (LRE) to the greatest extent possible with typically developing peers. Special education is a service, not a place. Some children do not thrive in typical classrooms. The IEP team, including the parent, may determine that a smaller classroom or “pull out” instruction is needed for the student to make meaningful progress. These decisions are documented in the IEP. “Related services” might include speech-language therapy, occupational therapy, mental health counseling or special transportation to school or extracurricular activities. Training about positive behavior interventions for parents, school staff and children could be provided as a related service. What happens if a doctor or teacher refers a child for evaluation? Any adult knowledgeable about a child’s condition can refer that child for evaluation. If a person outside the family makes the referral, parents get a formal written notification about the referral. Parents must sign consent for an evaluation process to begin. Parents/guardians do not have to give permission. Parents who refuse to give permission have the right to request an evaluation later. If school staff refer a student for an evaluation and parents do not want their child evaluated, the school district may ask parents to participate in mediation to further discuss the decision. If parents still refuse to sign consent, a school district can begin a legal procedure called Due Process to have the case considered by an administrative law judge. Through this process, a district may be allowed to screen a child for special education without parent consent. A student who is evaluated and determined ineligible for special education might qualify for a Section 504 Plan. Section 504 defines disability much more broadly than the IDEA, and a student can qualify for support if an identified disability significantly impacts a major life activity, such as learning or socializing with peers. Educational evaluations identify barriers to education, so schools can figure out how to help children make meaningful progress. Sometimes special education is provided to help with access to academic learning, and sometimes it is needed for a child to build functional skills or to develop more skill in the area of Social Emotional Learning. When requesting a full and complete evaluation, parents can ask questions and provide feedback to make sure the school evaluates in all areas of suspected disability and that the tools for evaluation are comprehensive and varied. Sometimes a child comes to the attention of the school because of unexpected behaviors that might lead to disciplinary actions. PAVE’s article, What Parents Need to Know when Behavior Impacts Discipline at School, has additional information for families who might be requesting an educational evaluation because of behavior incidents. Planning begins 6-9 months before the third birthday. The Family Resource Coordinator (FRC) schedules a transition conference to design a written Transition Plan. The transition includes an evaluation that is conducted by the local school district and usually begins 2-3 months before the child’s third birthday. If the child is determined eligible, the child will transition from a family-centered program of early learning (IFSP) into a school-based program (IEP). Parent participation is critical: You are an important member of the transition planning team! To qualify for an IEP, the child must meet evaluation criteria under the Individuals with Disabilities Education Act (IDEA). Criteria for Birth-3 services (Part C of the IDEA) are slightly different than the criteria for Special Education programming available for ages 3-21 (Part B of the IDEA). To qualify for an IEP: (1) The student is determined to have a qualifying disability. (2) The disability adversely impacts education. (3) The evaluation indicates a need for specially designed instruction. The disability significantly limits one or more major life activities. The student needs accommodations to access the general education curriculum. May qualify for other services like Head Start, co-operative pre-school, paid pre-school or day care with early achievers, play-to-learn programs, and other early learning opportunities in a community setting. The Family Resource Coordinator (FRC) starts talking about transition. The FRC transmits your child’s records to the school system, with your written consent. The most recent IFSP and evaluations/assessments are included. If your child is potentially eligible for Part B services, a transition conference is scheduled. Parent’s rights in special education are explained. Options for early childhood special education and other appropriate services are discussed. A transition time line is developed. A transition plan is written into the IFSP. If you agree, you sign consent for evaluation. Records from Early Intervention Services are received at the school. Information from the family is considered. Evaluation is completed, and the eligibility meeting is held within 35 school days so that an IEP can be developed before the child’s third birthday. The IEP meeting is scheduled with a formal written invitation with date, time and location. Discussion and decision-making include the family, the FRC (with parent permission), and an early childhood special education staff member. Eligibility for special education is decided. If the child is eligible, the Draft IEP is brought to the team meeting and you will have the opportunity to agree or disagree. You receive a copy of your rights and procedural safeguards. If you agree, you sign consent for services to begin. The child makes the transition from Early Intervention to Early Childhood Special Education or another pre-kindergarten arrangement, if chosen. The IEP is in place by our child’s third birthday. The team of professionals and parents continue working together to resolve any issues that arise. All IEP team members communicate during this time of change. What’s Next when Early Childhood Services End at Age 3? Services for families with infants and very young children include family-focused, home-based support. Families are served with an Individualized Family Service Plan (IFSP). An IFSP ends when the child turns 3. A child who qualifies for an Individualized Education Program (IEP) receives those services at school. Not all children who qualified for an IFSP will quality for an IEP. An IEP is for children ages 3-21, or until high-school graduation. Families may transition from getting in-home help for their child with special needs to participating as members of an IEP team. This can feel like a big change. The information in this article can empower parents. Transition planning starts at least half a year before the child’s third birthday. Providers, teachers, school administrators and the family start thinking and collaborating early about what the child might need to do well. Read on to learn what parents need to know when a young child with special needs makes the transition from Birth-3 services into preschool or another program. A parent-support agency called Informing Families provides a 12-minute video to guide parents through the early-learning transition process. When a child is born with a disability or the family realizes early that an impairment might impact a young child’s ability to learn and develop at a typical rate, the family can get help from the state. Early Support for Infants and Toddlers (ESIT) is managed by Washington’s Department of Children, Youth, and Families (DCYF). Services for families with infants and very young children include family-focused, home-based support. When a child is ready to graduate from those early-learning services, the school district determines whether to conduct an educational evaluation to see whether the child qualifies for school-based services. If a child qualifies, the family and school district work together to generate an Individualized Education Program (IEP), which can begin at age 3 in preschool. A child who qualifies for an IEP receives those services at school. Families transition from getting in-home help for their child with special needs to participating as members of the IEP team. The goals change, and parents help teachers and school staff talk about what the child needs to successfully access school and learning. This transition can be disorienting to some families. Read on for more detail. Early intervention services are guaranteed by the Individuals with Disabilities Education Act (IDEA), under “Part C” of the IDEA. The U.S. Department of Education manages a federal grant program under the Office of Special Education Programs (OSEP) that helps states manage early intervention programs to support infants and young children and their families. Washington’s ESIT program assigns agencies in each county to serve as a “lead agency” to coordinate early learning services and testing. The lead agency works with service providers and the family to review a child’s medical record, discuss any observations by caregivers, and conduct screenings to see what’s going on and whether the issues of concern meet criteria under Part C for early intervention. When a child is found eligible for services, a Family Resource Coordinator (FRC) manages the case. The FRC helps to develop an Individualized Family Service Plan (IFSP). Each plan is unique and may involve individualized instruction, therapy services and supported access to community resources. The plan is designed around the needs of the child and family and is not based on a predetermined program model. Family-based, early learning services end on the child’s third birthday. A new educational evaluation is required to see whether the student qualifies for an IEP under “Part B” of the IDEA. Note that the disability category of developmental delay can qualify a child for free, family-focused services to age 3 and school-based, IEP services through age 8. The FRC helps the family and school district get ready. Often this is referred to as “Part C-to-B Transition” planning, so it’s helpful when families understand that Parts C and B come from federal law, the IDEA (Individuals with Disabilities Education Act), designed to ensure that children with disabilities get the help they need to be successful at school and prepared for life. For families who have received services through the state’s early-learning program (ESIT), Part C-to-B Transition planning starts at least half a year before the child’s third birthday. Providers, teachers, school administrators and the family start thinking and collaborating about what the child might need to do well. The work includes a “Transition Planning Conference,” which happens about 90 days before a child turns 3. The participants at this meeting write a plan for what services or community supports the child might receive. Each plan is unique and designed to respond to individual needs. A child’s plan might indicate need for a specific child-care setting or medical-based therapies. The plan might include a referral to a specific, state-funded special-education preschool program through Head Start or the Early Childhood Education and Assistance Program (ECEAP, pronounced “E-Cap”). A transition plan also can name local playgroups or parent-support networks to connect the family to community resources. If a child’s educational evaluation has determined that the child is eligible for an IEP, then information about that is included. Not all children who qualified for early-learning support will qualify for an IEP. Children who are not eligible for IEP services might be eligible to receive accommodations and support through a Section 504 Plan. Children who didn’t receive early-learning interventions can also be evaluated to determine whether they qualify for school-based services that can start as young as age 3 and can continue through age 21, or until a student graduates from high school. Anyone with concerns about a child can refer the child for an educational evaluation. These referrals usually come from parents, teachers, medical providers or early-learning specialists. When a concerned adult formally requests an evaluation from the school district (best-practice is to make the request in writing), then the district is bound by the IDEA to respond to that request within 25 school days. PAVE provides a comprehensive article about the evaluation process. The school district has a responsibility under the Child Find mandate of the IDEA to seek out and evaluate children with known or suspected disabilities who may need services. When a school district agrees to evaluate, parents sign consent for the assessments to begin. The IDEA requires schools to complete an evaluation within 35 school days. For a child receiving early-learning services, the first IEP meeting is required on or before the child’s third birthday. Families may invite whomever they want to an IEP meeting. 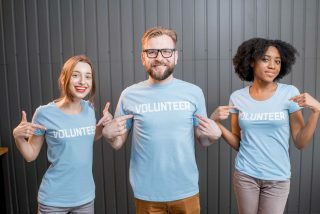 For example, they can invite the Family Resource Coordinator (FRC), a family member, a friend or any other support person. If the school district does not conduct an educational evaluation, or if the evaluation indicates that the child doesn’t qualify for school-based, IEP services, parents have the right to disagree with the school’s decision. The family can request a written statement that describes the school district’s position, with any information or data that was used to justify the decision. Parents have rights to disagree through a variety of dispute engagement options. PAVE provides comprehensive articles about evaluation, IEP process and Procedural Safeguards, Student and Parent Rights. 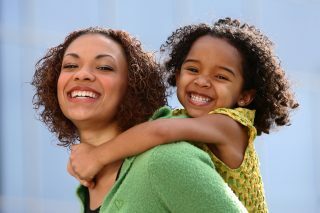 The Arc of Washington hosts local Parent-to-Parent (P2P) programs across the state. Families can request a “support parent match” to talk with another parent who has already navigated this process. Visit Arcwa.org for more information. Please Ask is a three-minute video that shows the importance of referring infants and toddlers for early intervention. Family Health Hotline: 1-800-322-2588. This statewide, toll-free number offers help in English, Spanish, and other languages. In addition, regulations concerning evaluation for services under Section 504 are contained in the Nondiscrimination Rehabilitation Act of 1973 (PL 93-112), Section 504. Section 504 only applies in educational systems within the United States, not within DoDDS. Any child can be brought to the attention of a school district by parents, departments of education, state agencies, and school staff—any of whom may request an initial evaluation. Evaluation materials and procedures must be administered in adherence with the developer’s instructions and by appropriately trained personnel. If an assessment is not conducted under standard conditions (e.g., qualifications of test administrator or method of test administration) this must be noted in the evaluation report. Parents must be notified of the time and place of any meeting, which discusses eligibility, evaluation, or identification of their child as a student with a disability. A child must be evaluated in all areas related to the suspected disability, including, if appropriate, health, vision, hearing, social and emotional functioning, general intelligence, academic performance, communicative status, and motor abilities. 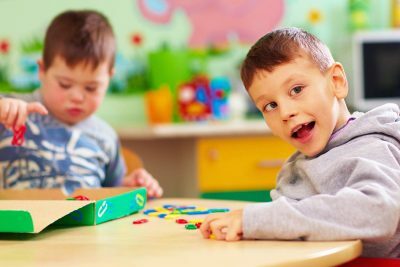 In addition, the evaluation must be sufficiently comprehensive to identify all of the child’s special education and related services needs, whether or not they are commonly linked to the disability category in which the child is classified. A written evaluation/eligibility report must be prepared to document that a child is eligible for special education. The report must summarize the information from all the evaluations. A copy of the report must be given to the parent. If a parent disagrees with the school district evaluation, the parent has the right to an independent educational evaluation (see Part VII, Section 7). The process for making such a request varies between school districts who are under the supervision of State Departments of Education and those who are under the responsibility of DODEA (Department Of Defense Education Activity). A child who has an Individual Education Program (IEP) must be re-evaluated every 3 years. It can be done more often at the request of the parents or school personnel. The school must seek to obtain prior informed consent from parents before each re-evaluation. (If a parent does not respond to a request for permission to re-evaluate a student and the district can document their attempts to get that consent, they can move forward without consent for the re-evaluation. This is different than with an initial evaluation).